My two H. Aurora Anemones (The Beaded Anemone) LOL, A bit bigger this time. Very nice anemone shots Todd--I really like that haddonis. Thanks. I am a bit addicted to haddonis. But, at least I can't get anymore -- without setting up a 4th tank, which won't happen --- I hope. do they have a more common name--after I saw yours I decided to do a little calling around locally but all I get is "huh-what kind of anemone"
They are sometimes called "carpet" anemones, but that can be too broad of a term, could mean S. Haddoni, S. mertensii, S. gigantea, or even an Atlantic carpet (( not a natural hosting anemone )). If you are thinking about a Haddoni, be aware that most people have issues with them eating their fish --- tangs, angels... I have been lucky and only lost 2 fish to them in the 10 years I have been keeping them -- one was a Yellow watchman goby and the other was a Mandarin -- not the best fish for a sand dwelling anemone. What type of clowns? 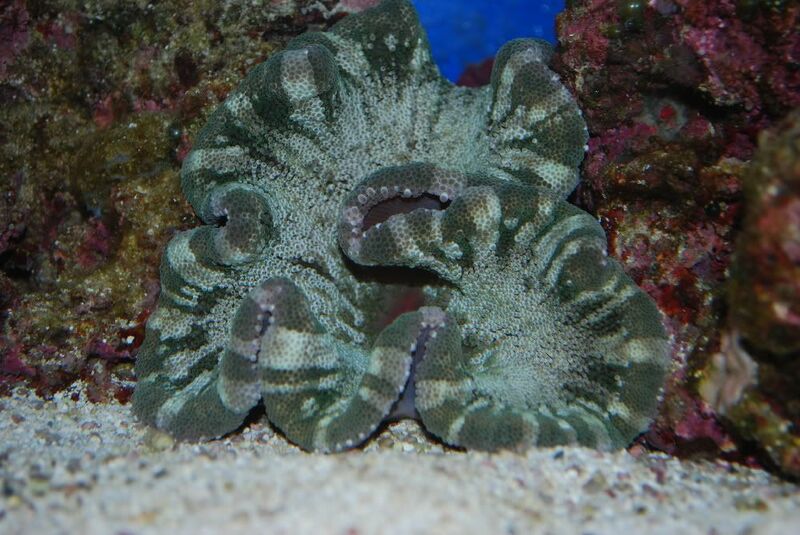 And are you going to keep that other anemone in there (( and what type is it ))? For just the clowns and a Haddoni, think that would perfect. Could try some other fish, but it would be a risk. Like I said, I have been lucky with them, but from all the reading I have done, that isn't the norm. the picture of the clowns and the anemone is the second picture I posted above. 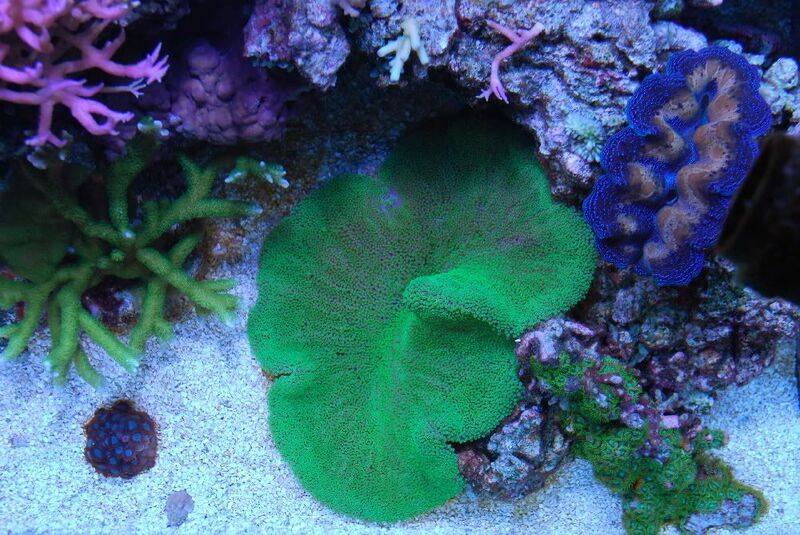 I'm mainly using that tank for coral frags. There is a hawk fish in there but it can go in the display tank. How did you get your Blue Carpet so blue ? My Blue carpet is dark when it is not opened up allot. When it fully opens it is much lighter. I have it under MH & have had it for manny years. His color is constant & I have had him in 3 different tanks over the years. Ahh, okay. 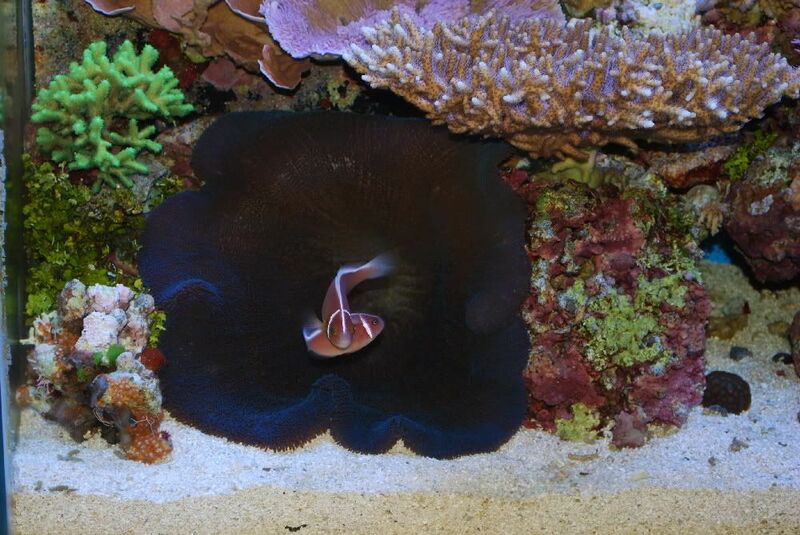 I have kept a Haddoni with a BTA before, there wasn't any real issues, but the Haddoni did look "happier" after I sold off all the BTAs. The hawk might be an issue, since they perch, wouldn't want it to try to perch on a rock that has one of the folds of the Haddoni it it. So it would be a risk, and up to you if you want to take it. Don't think I have done anything special -- shortly after I got it is really darkened up. Has been under MHs the whole time, but they have been higher K bulbs. (( Phoenix, and then XM and Radium 20Ks )) This is its color when I first got it. Ok, I dont use the 20k bulbs so that might be it. Mine looks like yours in this picture & I am running 14k. Last edited by bump321; 06/04/2009 at 10:20 PM. What 14K bulbs? The Phoenix bulbs, IMO, really are 20Ks. For a while I thought it was because it was getting some sunlight from a skylight, but it kept that color as the season changed and after I moved it to another tank. Plus, there are going to be different shades of blue. Yours could just be naturally a bit lighter blue. Just look at all the different shades of red for RBTAs. IceCap & before that I used 12k Reeflux. I bet the 20ks would make hip pop. It is almost time to get new bulbs so I might give a 20k a try on him. 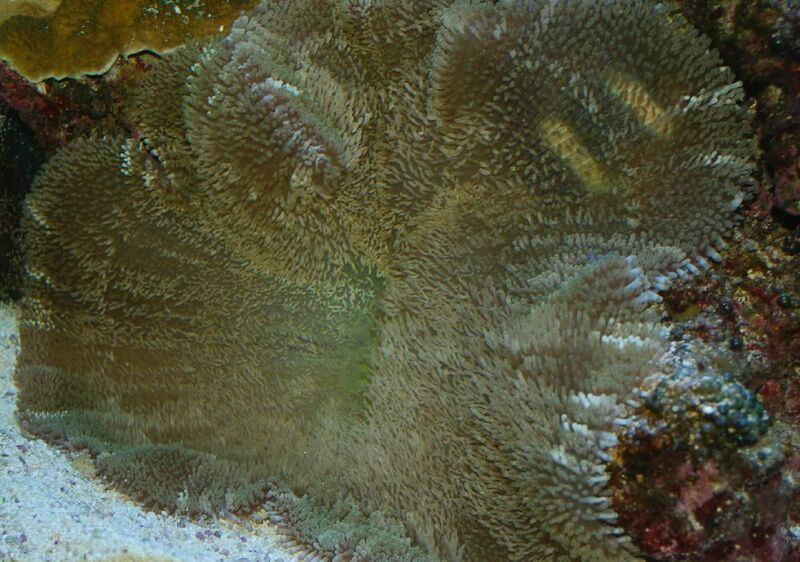 don't you also need the 10,000k's to provide full spectrum light for the zooanthella in the anemones?